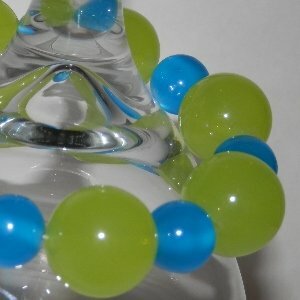 I appreciate your interest and stopping by for a visit to hear of my beading for beginners story. We all have a story of how we got started. If you would like, please let me know you have been by and leave a comment below. 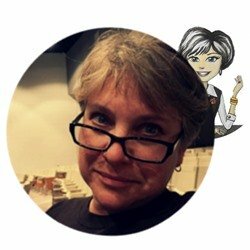 I am Teri...Betty Beader is my creation and I lean on her to get the job done while I continue to take care of my family. 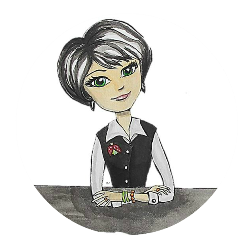 I shared how Betty Beader came to life for me out of necessity in a period when there was a lot of life happening around me. She allowed me to step outside of myself so that I could continue to hear my beading instructor's voice. But that was another story I shared with the 'Meet and Greet Betty Beader'. I hope this helps you to understand that you are not alone in this and everyone has a story of their 'bead'-ginnings. After all, we have to start somewhere to get to where we want. 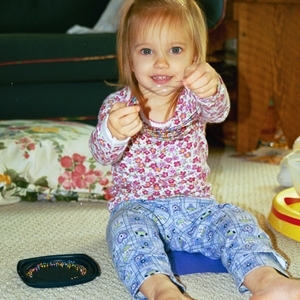 Early 2001 my life was about to change again, with another little blessing on the way I began looking for a change in my crafting world to adapt with it. I knew what I wanted and created a very specific list of what I was looking for in a new hobby. This was a real tall order...finding it was the challenge. Once I had compiled my criteria list I then began my search, keeping my eyes and ears open. Then it happened...I was accidentally introduced to beading. I spotted a beautiful, uniquely styled watch a co-working was wearing. Thinking to myself this had to have come from a high-end retail store I inquired. Well, to my surprise she shared she purchased it from a 'craft' fair. Intrigued I knew this had to be investigated much farther. Off to the hobby store I went. Browsing through the beading department of the craft store proved to be very overwhelming for someone who did not know where to begin. I didn't know anyone that did this type of beading and there were no classes in my area, that I could find. What I did know, with this strong spark of interest, I was not giving up. As I said I was completely overwhelmed strolling through the beading aisles. Too many selections. Too many choices. I did not have a clue. So I stepped back, took a breath and decided to start with a beading publication. That was my question...which do I purchase? I chose the magazine path. Why?...I felt it provided a wider option of resources with the numerous ads found in a magazine. 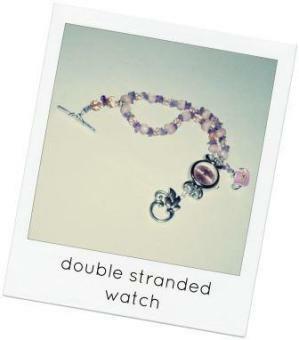 The publication of my choice, at that time, was 'Bead and Button' for one simple reason...they featured a 'how to' article for making a beaded watch. The magazine turned out NOT to be what I would have considered a basic beginner level and the projects were beyond what I wanted to learn at this point. Still a great publication, but just not for me at that time. It was enough, though, to bid me to move beyond the projects and search the ads to find more. 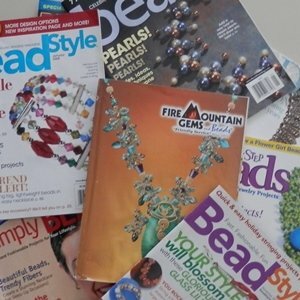 It is a sister publication to Bead and Button and began publishing in 2005. This has been my choice of beading magazines ever since. It is what I highly recommend to any beginner just starting out. A magazine was a safe choice for me. 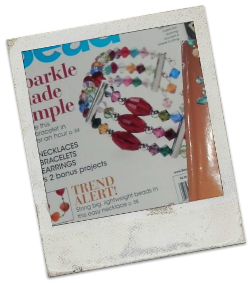 A magazine allowed me to dip my toes in the beading waters to see how I liked it. There was very little investment for the amount of information and resources a magazine provided. The pages within were a good enough introduction to supplies and tools and a bit about techniques, even though this was not the type of beading I was looking for. It helped me decide what I DID NOT want to do, at that time at least. I was satisfied and on my way. From the beading magazine I had lots of choices for suppliers but which one should I go to? I didn't know which was which and I had no recommendations. All I wanted was to browse at the time anyway, I was not ready to buy. So, fortunately for me $$ played a big part and I looked for whatever fit my budget of...F-R-E-E.
That was Fire Mountain Gems. They offer their catalogs for free and it was the other piece to my puzzle that allowed me to get familiar with what was what. So now with a beading magazine or two and a FMG supply catalog it was all I needed at the time to get my feet wet. I drank over the information while I focused on my new born. It was the perfect combo for me until I was ready to move further along. 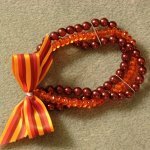 When I was ready to learn how to make beaded jewelry, I began looking for beading classes in my area? I could not find any classes at my local craft stores and there were no bead shops either. After a thorough search to no avail, I finally bought an instruction book. As I read through the beading instructions I felt something was missing. It sounded too simple and that information must have been missing, but I moved forward with my first goal of making a bracelet. 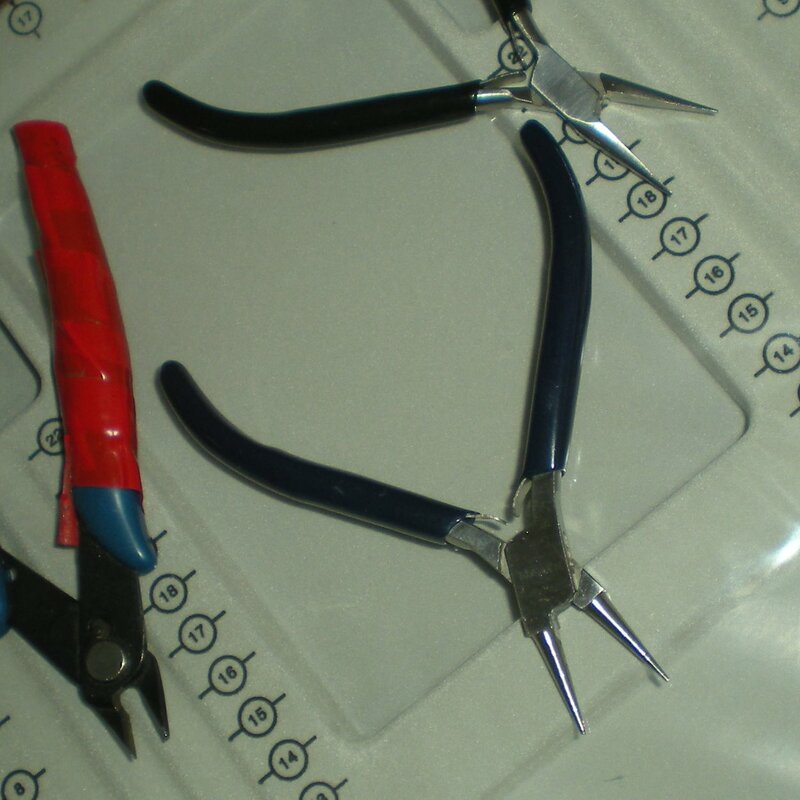 I gathered a few inexpensive tools and supplies without much guidance as to what was a good choice. I struggled through the directions and felt like I was never going to complete my goal. Struggling to build my confidence I finally finished my first piece, a bracelet, but it somehow did not feel right. I lacked great confidence in what I was doing and still had too many questions. Once I realized it was not going to fall apart I was overjoyed with the realization that it was that simple. Almost immediately after that small accomplishment it occurred to me, 'I could teach this' and a lot easier than the way I had just learned it. I could not be the only one that wanted to learn this. If I struggled, as much as I did just to get through my first piece, I could surely make it easier for others. There was definitely a need in my area. Going back to that original issue of 'Bead and Button' I changed my direction from ads to classified. It was almost like a serendipity moment, as though I were guided to revisit. The next piece to my personal puzzle was found and I quickly connected with a newly developed networking group. 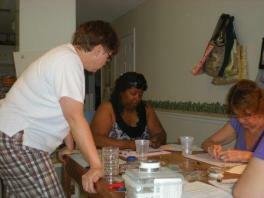 This group taught anyone to become beading instructor's through the home party system. I was overjoyed and very anxious to start. It felt I was led in this direction and it proved to be a very good fit. It built my confidence and when I was invited to present a 'make and take' session for this group I knew I had found my place. It was a great confidence booster to have these women believe in me and see something in me. It was exactly what I needed at that moment. I began adding other venues outside of home parties to improve my instructing skills. Since then I reached a point where I wanted to bring this to a wider audience. First came Bead At Home and learning how to write on the internet. I was on my way finding my new direction. It's been a journey learning my way around and there have been some unexpected but important distractions along the way. Instructing was to be my hobby and not create a stress in my life, so my teaching and creating went with the flow of my life. I'm still a wife and mother, my first loves, and I was also my mother's daughter. When family needs take precedence that's where I am. 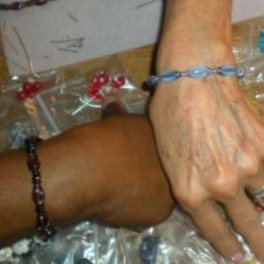 I still wanted to be able to hear my beading instructor's voice outside of those roles I lived. 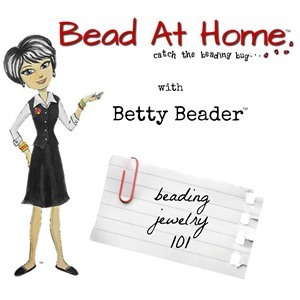 That's when Betty Beader and beading jewelry 101 began evolving and growing which brings us to where we are today...talking and sharing with you how to 'bead'-gin your own journey. Life changed dramatically for me. 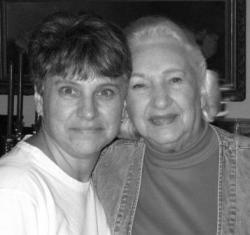 Losing my biggest fan, my mother, Bead At Home and Betty Beader became that much more important to me. Mother always loved learning and felt it very important to share your knowledge, helping others to learn. Talking to you, helping you along the way has become that much more important as well. There is still so much more to do and we have a lot of growing to do. I have hardly scratched the surface of what I'd like to build this into for you. But that will take time. For now, I hope my story has inspired you to continue to move forward. I know your story won't be exactly like mine but I bet we share similarities. If you feel learning how to bead is the path you want to take then I hope you will continue to allow me to help you get there. What ever that path may be we can at least support one another to get you to solid footing. If you should also see building a website in your future then I may have a few tips as well. I struggled for a few years to get my bearings in that vast arena and have learned so much along the way. That's a whole other story for another day but I would be glad to share what I have learned with that as well. Enjoy your time here, let me hear from you and share what you are doing or what you may need help with, even if it's just validation to keep you moving in the right path. Don't let the roadblocks stop you. 1. 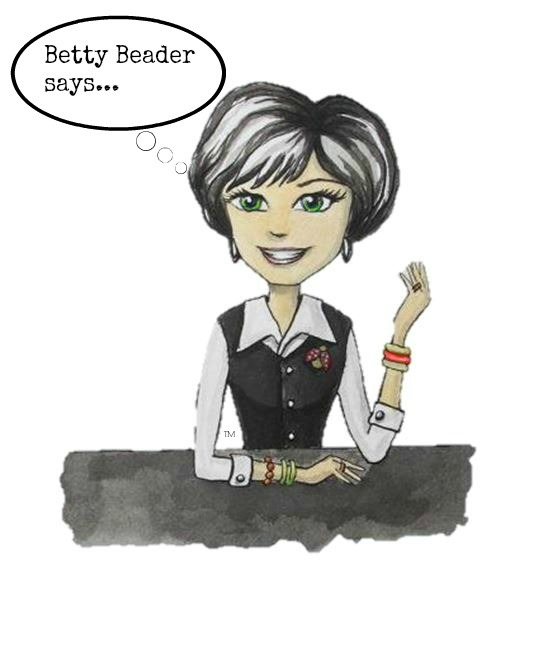 Sign up to receive newsletter where we have lots more bead talk. 2. Visit around the site, begin with 'start here' if you are new here. 3. Already started? Then visit some of the 'helpful information tabs'. 4. Share this site with someone else you know will benefit from it. 5. Talk to me by leaving a comment below. I'm waiting to hear from you.